New Global Map, New Alliances! The latest season of the Global Map is quickly approaching, and we're making some cool new additions to our Alliance system from Season 10! Here are a few tidbits to get you up to speed. Season 11 of the Global Map will run Apr. 3-May 20, 16:00–20:00 PT | 18:00–22:00 CT | 19:00–23:00 ET. Season 10 proved the Alliance mechanics are entertaining. Thanks to Alliances, the strongest clans were able to hold dozens of provinces and substitute for their allies by having their battles transferred to them, popping up in the right place at the right time. It became apparent that the system should be somehow limited but at the same time given more strategic depth and flexibility. Besides that, Influence as a Global Map currency should be supplemented with new possibilities to expand on the strategic component of the game. For this, Alliances have been revised in Season 11: the maximum number of Minor Powers has been increased to 5, and a clan's strategic actions have been limited with the help of a new feature — Administration Points. The Global Map will expand and contain areas without income, allowing weaker Clans to acquaint themselves with the Global Map gameplay. Convoys will operate differently at the start of the season. 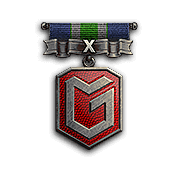 Gold received by Convoy recipients or ransackers will affect Victory Points in the seasonal rating. A new Clan resource emerges in Season 11 that can be purchased using Influence and invested in the strategic capabilities of Clans and Alliances. Administration Points can be used for controlling provinces, allying with Minor Powers, and transferring battles. Each Clan is provided with 6 Administration Points at the start of the season with additional Administration Points purchasable using Influence. When transferring battles to an ally, clans have to invest Administration Points. Administration Points are reimbursed to clans if an ally declines to substitute for them in battles. When clans receive a province, Administration Points are deducted. When Clans lose a province, Administration Points are reimbursed. IMPORTANT: If a Clan's Administration Point value becomes negative, an economic penalty is imposed based on 10% of its income in any Clan currency. For example: If a Clan has -3 Administration Points, it suffers a 30% penalty to all types of income (such as Gold and Influence). The penalty cannot exceed 100%. Like Season 10, a certain percentage of all Clan income from the Global Map (Gold and Influence) is accumulated by Minor Powers as taxes. Upon reaching a certain amount of currency, it's possible to dispatch a convoy to the Major Power. In Season 11, the special Treasury where taxes are accumulated is limited by 20,000 units for both Gold and Influence. If convoys aren't dispatched, all resources deposited into an already full Treasury will be lost. To make the element of strategy more pronounced, each new Division will require more Influence. At the same time, the system does not consider whether the existing Divisions were purchased using Influence or received for free. 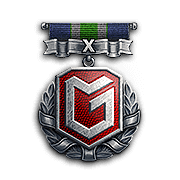 For example: say a Clan has won four Divisions in landing tournaments and two Divisions they organized - a total of six Divisions. When purchasing the seventh Divisions, the Clan needs to spend 2,000 Influence. The season runs Apr. 3-May 20, 16:00–20:00 PT | 18:00–22:00 CT | 19:00–23:00 ET. The battlefield is divided into zones with various levels of income, including provinces with no income. There will be a total 210 provinces on the map with ~20% landing and ~5% auction provinces. The province owner does not participate in tournaments on landing provinces and battles in tournaments through auction, or in attacks by land on their own provinces. All Global Map provinces will be landing provinces on the first day of the season. At the end of Prime Time, provinces will switch to the main mode as per the general rules of the season. If a battle for the landing province ends in a draw, it'll be counted as a defeat for both challengers. Division cost: 200 Influence (the cost of Divisions increases depending on the Clan's number of Divisions). Division modules are enabled for strategic effect. Ransacks are ON. When ransacking provinces, clans receive 2 days' worth of province income. Upon being ransacked, provinces do not generate income for 3 days. In Season 11, Clans can earn two sets of rewards. 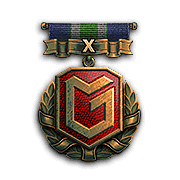 Set 1: Rewards for the Clan's position in the Alley of fame. 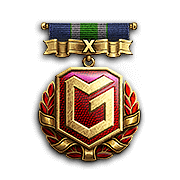 As before, Victory Points are received for Gold earned on the Global Map. Depending on the Clan's position, its members can receive a style, participation emblems, and medals. One (1) copy of a style is credited per account. Three (3) copies of a camouflage are credited per nation. They cannot be switched after they've been applied to a vehicle. Six (6) copies of the participant emblem, decal, and badge will be credited per account. Clans will earn bonds in their clan Treasury depending on their position at the end of Season 11. Once Season 11 is over, the Global Map will be frozen, and Influence accumulated over the season as well as the special Alliance Treasuries will be reset. The next large-scale event on the Global Map will take place this summer. More information will be provided later down the road. Good luck, and may the best Clan conquer the Globe!